A recent WIPO UDRP case, Meat and Livestock Commission v David Pearce again illustrates the need for owners of registered trade marks to maintain a portfolio of blocking domain names, so as to prevent protesters from registering domains close to the principal name. On the other hand, depending on your point of view, the decision also stands as a victory for freedom of speech. The complainants are a UK public body funded by the British meat industry, having a duty to advertise British meat in the UK. The Respondent is the operator of a web site which is critical of the meat industry. He had registered the domains britishmeat.com and britishmeat.org and had pointed these to his web site. Among other links on the site, the Respondent had used the terms 'British Meat: the recipe for BSE' and 'British Meat: the recipe for cancer'. These seemed to parody the complainants' UK advertising campaign slogan 'British Meat: The Recipe for Love'. The Panel is not satisfied on the evidence as a whole that the Domain Names are confusingly similar to any marks in which the Complainant has rights. 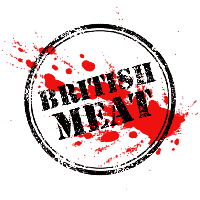 Given that the term "British meat" is the normal and natural term to describe meat produced in Britain, the Panel is not satisfied that the Domain Names would be regarded by Internet users as indicating a website of the Complainant. Meanwhile, as would be expected, the respondent was arguing that the complainants were not entitled to 'buy up relevant parts of the English language from the namespace in a bid to pre-empt criticism'. While the panellist's decision on trade mark rights would have been enough for him to dispose of the case, he went on to consider whether the complainants had shown that the respondent had no rights or legitimate interests in the disputed domain names and had registered these in bad faith. The complainant had asserted that freedom of speech does not of itself confer rights or legitimate interests in domain names in relation to which other people have rights. However, while in most UDRP cases it had been held that use of a domain name containing a distinctive mark for criticism did not confer a legitimate interest, the mark under discussion in this case consisted essentially of a descriptive term. The panellist considered that the respondent was making non-commercial use of the disputed domain names without any intent for commercial gain. He also considered that such use was legitimate or fair because there was no evidence that the content of the web site was deliberately false and malicious. The Complainant is right in a sense to accuse the Respondent of seeking to disrupt some of the Complainant's activities, in particular its promotion of British meat. However, the Panel considers that the Respondent is, in principle, entitled to express views critical of the British meat industry, and this cannot in itself be regarded as evidence of bad faith. Where does this leave the typical protagonists? Not in an ideal position is the answer. For freedom of speech pundits, it is clear that this decision does not over-ride the cases where distinctive trade marks have been used in domain names. For trade mark owners, the case provides a salutary lesson in the need to block protestors to be sure that they are not uncomfortably close to a principal domain. And in the present case, the closeness of the protestor to the mark owner's site was the difference between britishmeat.com and britishmeat.org.uk, clearly too close for the complainants' comfort.